The strategic foci outlined below provide the overarching framework for the future development of CAPA. The strategies are in line with the guiding philosophies, the Vision and the Mission statement of the organisation. The strategic foci are underpinned by the following three key strategic drivers. Ensure a defined membership of specialist pharmacy practitioners with post registration qualifications that will provide the foundation for this organisation. Pharmacists working toward such qualifications will be admitted as Associate Members. Support, fosters and mentor research activities undertaken by members. Membership to CAPA is restricted to those individuals who have demonstrated passion, willingness, and energy to undertake postgraduate education and an intent to improve population health outcomes. Research is the basis upon which specialist practitioners can demonstrate long-term worth and research will be an integral philosophy underpinning the practice activities of CAPA members. Support a visible, ongoing effort to promote health care improvement via specialist clinical pharmacy services which educate and inform the general public, policy makers and other associations and organisations through the media and official publications. 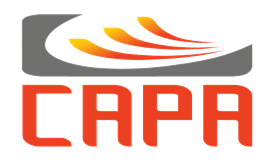 CAPA will develop revenue streams as appropriate to facilitate projects which align with its vision and mission. Supports the development of service concept designs which will add value and ensure the sustainability of specialist clinical pharmacy services. CAPA will leverage its distinctive strength in the ability to bring together leaders from key sectors of health care in New Zealand, to promote innovation through both individual and collective efforts. Develop and promote philosophies as necessary to achieve the mission of CAPA and its supporting members. Promote philosophies that ensure the safe and effective use of medicines by the entire population with the aim of reducing medication-related mortality and morbidity. Influence policy issues that support its mission through information exchange, public positioning and innovative collaboration of key stakeholders.